It is good that there is an effort to teach people how to grow food in their own gardens and possibly start up their own farms. 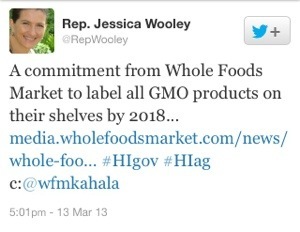 What is quite disturbing to me to hear that the Hawaii Organic Farming Association in alignment with Representative Jessica Wooley are touting that only organic is the way to go to doing this. There is a major problem with this and papayas. As much as people would like to think that there is no papaya ringspot virus around and that organic methods will prevent this, they are far from the truth. No amount of dirt that Senator Russell Rudeman proposed as a solution to this problem is going to solve it. Nor is Jeffrey Smith coming up with any solutions either to deal with this. It’s even sadder when a senator continues to perpetuate myths that harm his very own constituents on his own island. He doesn’t even support his own papaya farmers in Puna! What he fails to realize is that every single thing we eat is a result of some form of modification. We humans have been tampering with nature since the beginning of civilization. Genetic modification is just another form of plant breeding. 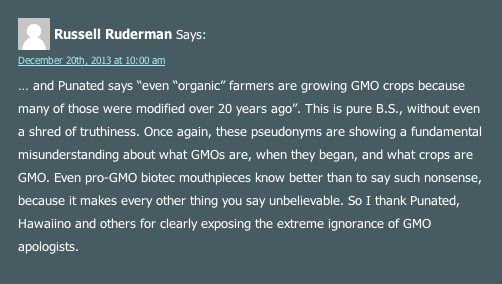 So technically, yes, Senator Ruderman, we are all eating a form of genetically modified food for thousands of years, regardless of how it was grown. 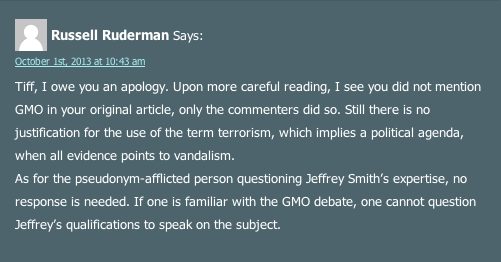 While Ruderman and Wooley, both of whom are not farmers, keeping harping their organic wheels of misinformation, there are those who believe this campaign. Those are the people who have the learn things the hard way. You can ask any long time farmer, not yardener, if one can grown GMO free papayas here on Oahu. Most will tell you that it is hard because the virus is still around. Piling soil on the roots isn’t going to prevent the papaya from getting a disease spread by aphids. Learning the hard way doesn’t hurt the yardeners much but it could do harm to those investing in growing the fruit for an income. Example of a non-GMO papaya tree infected by the virus next to a transgenic variety that remains unaffected. 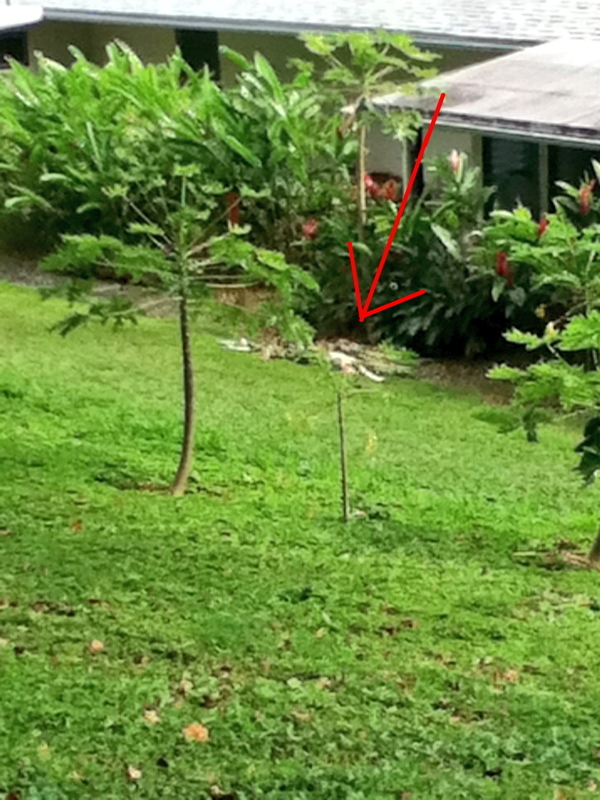 Trees were grown on the Windward side of Oahu. Why would you knowingly grow a crop that is known to be at high risk for disease? No farmer would ever risk their livelihoods for that, which is why they are fortunate to have the choice to grow such crops, and provide fruits to their customers year after year. Misinformation against this choice hurts every farmer and every farmer to be. Of course, it isn’t Jessica Wooley’s or Russell Ruderman’s investments that are being harmed, so they really don’t care and it’s glaringly obvious.